Dash and Mae sneak off to the morgue to make out but Kenji and Brittany catch them and have to resort to getting security guards to prevent them from being together. Mae will only be there for another week so that's how long they have to keep them apart. Charlie is now able to swallow food, which means he'll no longer need a feeding tube. Best of all, this means that he can be checked out of the hospital and brought home. Emma has a therapy session with her parents, who visit just for the reason, but it doesn't go well. The therapist wants them to do a trust fall exercise. Emma must fall back and be caught by her mother but Emma is unable to go through with it. Emma still resents her mother's dismissiveness towards her anorexia as a disease, but we still see her finally begin to open up about how her disease got started. She later gets into an argument with her mother in the bathroom, where Emma states that their relationship might never get better. Dr. McAndrews informs Leo and his mother that his cancer has spread to his lungs. Surgery won't work so they have to try chemotherapy and any other options available to them. Unfortunately, Leo is losing faith in his ability to overcome his disease. Kara's bad attitude returns and her mother tells her she needs to change her ways, for the better of herself and Kara seems to take it to heart. Dash and Mae are able to sneak out and meet up with one another once again but Mae first stops to give Leo a pep talk, saying how he doesn't always have to be invincible like Superman. Leo has always been the one to be strong on everyone else's behalf but now it's his turn to be normal for once and not go around feeling like the world is depending on him. Emma's mother attempts to sneak out of the hospital but has a change of heart after having a talk with nurse Brittany in the elevator, in which Brittany tells her that Emma is amazing, adding that Emma is caring, smart, and funny. Emma's mother returns to the therapy session and shares how she had known for a long time that Emma was anorexic and didn't say anything because she was embarrassed that Emma hadn't come to her for help. She wanted everything to be good between the two of them considering she hadn't had a good relationship with her own mother. She also felt like a fool for not noticing sooner. It's a breakthrough moment that signals that perhaps this relationship isn't as far gone as Emma would have thought. Dr. Naday helps Charlie into a wheelchair that he is able to navigate himself in. Dr. Naday has to leave for his next assignment, and Nurse Jackson thanks him for everything he has done. Dash later ends things with Mae, believing her life and value as a person to be more important than their risking it by having a relationship. Leo gets the news that he's been accepted into the trial but he has a talk with his mother that although he can take the disease, he can't take the pressure so he doesn't want them over-elevating him. Emma has a breakthrough with her mother, where she apologises for everything and they begin their steps towards true reconciliation. 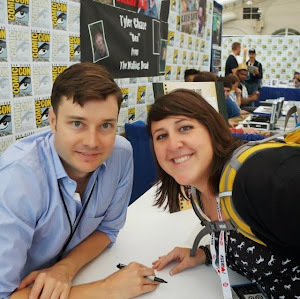 Dr. McAndrew and Nurse Jackson ponder the fact that the worst part of their job is that they must always say goodbye to their patients, one way or another. They will continue to stick it out at the hospital, and make a difference. 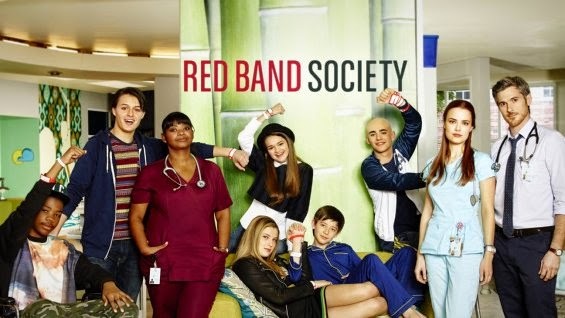 The Red Band Society gathers on the roof to band together one last time, but now it's with Charlie. They begin to sing "You Can't Always Get What You Want" and Charlie joins in with his first on-screen lines outside of the in-between world. Shortly thereafter, Charlie is discharged from Ocean Park and drives away in the backseat of his father's car.